I probably should not admit this, but prior to the start of this year - while I listened to the odd podcast here and there - I was not a regular podcast listener. Even though I have been recommended a lot over the years by friends, and even colleagues. This is pretty ironic as a few months ago I joined the world of podcasts. Well, literary podcasts, with two other African women - writer @postcolonialchi and bookstagrammar @booksandrhymes. It's called Not Another Book Podcast and is centred on all things books - including African Literature, but not exclusively. Don't worry, this isn't a plug for the podcast, but more of what I've noticed since I started podcasting - particularly, the emergence of podcasts by and for African book lovers. Literary podcasts are not a new thing. Back in 2015, for example, The Millions shared a list of about 15 literary podcasts, and followed that up in 2016 with another list - what they called 'a second wave of literary podcasts' with about ten podcasts. While, earlier this year Electric Lit shared 17 literary podcasts to ease your commute. Podcasts by Africans or the African Diaspora are also not new. In 2016, okayafrica let us know the 6 hot African podcasts we should all be listening to, while over in the UK there was said to be a new wave of Black British podcasts. Since then? Well, google showed me a number of lists and websites about many different literary podcasts and podcasts by Africans or by the African Diaspora. What about literary podcasts by Africans or African literary podcasts? I'm clearly not the only one thinking about this. 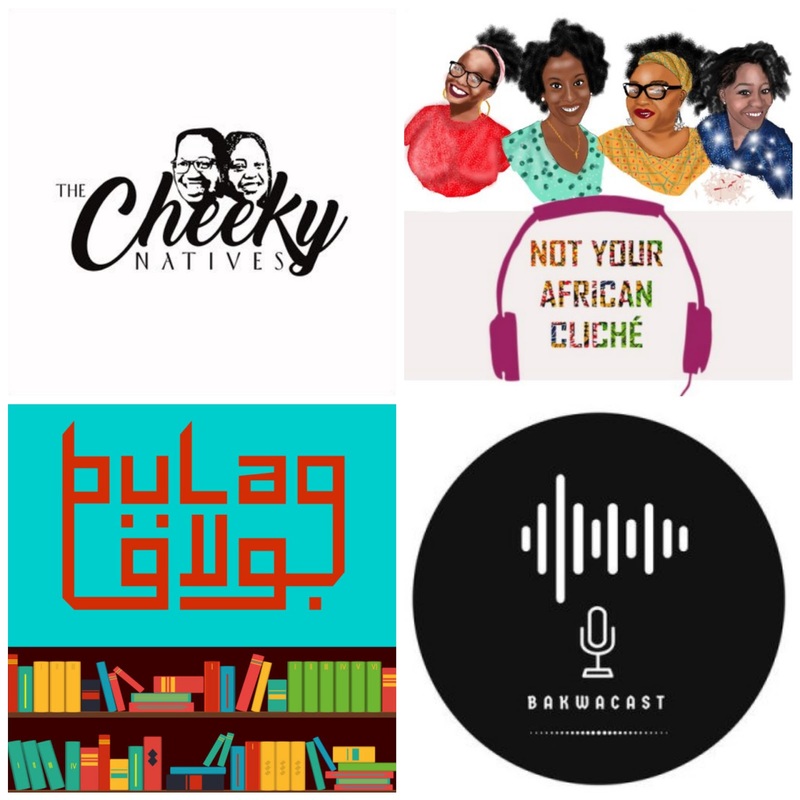 In putting together this post, I found that BookRiot recently featured 5 African or Africa-Centric Book Podcasts - and by recent I mean a day ago. These included: 2 Girls & a Pod, James Murua, BakwaCast, Bulaq, and NABP (thanks for the feature). 2 Girls & A Pod - currently on hiatus - is a Nairobi based literary podcast hosted by Beverly Ochieng and Nyambura Mutanyi talking stories from Africa and all over the world. It started 2 years ago, with its first episode touching on the Caine Prize and its 16th episode touching on Afrofutures, fantasy and surrealism. Also, coming out of Nairobi is James Murua's podcast, which launched earlier this year - March 2018. As James Murua writes on his blog - a great place to go for all things on African Literature - after five or so years of blogging, the African Literary Podcast forms part of 'a new direction' and 'will give news and reviews from across the African continent' ... in African books of course.There have been 6 episodes so far, which have included a review of Jose Eduardo Agualusa's A General Theory of Oblivion and discussions on book prizes/literary awards. There's also Morocco-based Bulaq, centred on 'contemporary writing from and about the Middle East and North Africa', co-hosted by Ursula Lindsey and M Lynx Qualey (who also runs ArabLit). It launched in 2017 and so far has 15 episodes and has discussed novels about being gay in Cairo, Moroccan literature and negative reviews. Also, present is soon-to-be released Cameroon-based Bakwacast from the team behind Bakwa Magazine. 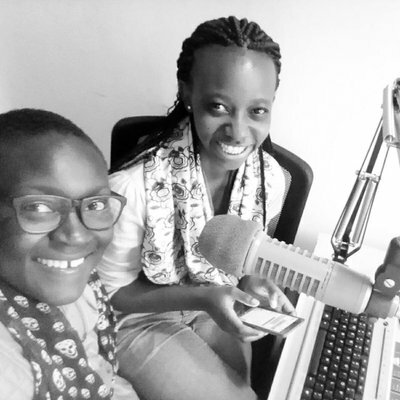 It's not solely a literary podcast, is curated by Dzekahsu Macviban and co-hosted by Leslie Meya and Tchassa Kamga - and describes itself as 'a periodic, living archive' which 'will look at what makes interesting people tick, from artists, curators, writers, techies, performers, to policy makers'. To this list of podcasts I would like to add Johannesburg-based The Cheeky Natives. With 20 episodes this podcast focuses on 'books about black people for black people' and is co-hosted by @alma_nalisha and @Mr_Mokgoroane. There's also Not Your African Cliche - hosted by four Nigerian women, and currently on its third season. 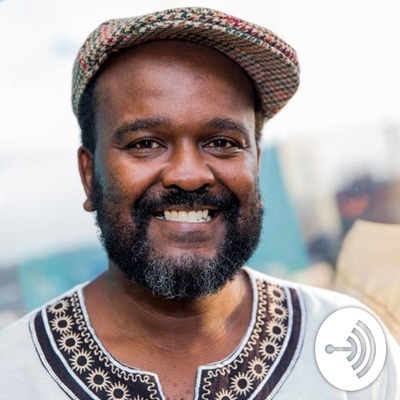 While not a literary podcast, they do have conversations on African literature including an episode with Brittle Paper's Ainehi Edoro and another on storytelling with Afreada's Nancy Adimora. With exception of Not Another Book Podcast - we are London-based - and possibly Not Your African Cliche (their twitter bio lists them as African Diaspora), the other podcasts are all based in an African country. I also find it interesting that three of the podcasts have bloggers as hosts/co-hosts: James Murua, ArabLit, and of course myself - which makes me curious about blogging (written form) and podcasting (audio form). Another question on my mind is why this emergence of podcasts within the African literary sphere over the last two years, and particularly over the last few months? I honestly, don't know. Maybe - similar to African literary blogs, websites and magazines - it's another space to be able to highlight the many different aspects of African literature, and told from our own perspectives and voices. Maybe people want to be able to absorb literature and books in many different formats and ways. Maybe people are busy, and during periods when they are unable to read, they listen to podcasts. Or maybe there's another reason - I would love to know. Clearly, I have more questions than answers at this stage, but while I'm trying to figure that, are there any other literary podcasts for African book lovers we need to know about?